Mikki Kendall: Jussie Smollett is not the best example of the lack of accountability in Chicago. Rahm Emanuel is. Mikki Kendall Jussie Smollett is not the best example of the lack of accountability in Chicago. Rahm Emanuel is. To hear the mayor slam prosecutors’ decision to accept an alternative resolution in the case rang not just wrong, but fundamentally ridiculous. The end of the Jussie Smollett case could be a scene straight out of his award-winning show “Empire”: After a labyrinthine set of leaks, retractions and charges being filed and dropped, it’s certainly impossible to know what happened the night of the alleged attack. In the latest news, prosecutors in Chicago announced on Tuesday that all charges against Jussie Smollett in the alleged hate crime hoax have been dropped after he had performed 16 hours of community service and forfeited his $10,000 bond. The Cook County State’s Attorney insisted the charges being dropped didn’t constitute an exoneration, Smollett’s camp made it clear that he was not admitting any guilt and Chicago Mayor Rahm Emanuel and Chicago Police Superintendent Eddie Johnson slammed the prosecutors’ decision in a joint press conference at Chicago’s Navy Pier. The case, though, has been sealed, we will likely never know the details of the investigation or any of the subsequent agreements and there’s no way to determine what the result might have been had the case gone to trial — which means there will never be any public consensus about the truth. The problem of course is that, regardless of the legal precept that everyone is innocent in the eyes of the law until proven guilty in a court of it, the adage is not true in the court of public opinion. Legally, with the charges against him dismissed, Jussie Smollett is not guilty of any of the 16 counts with which he was charged, but there is still no shortage of conspiracy theories about him, his friends and whether or not his celebrity status helped him avoid going to trial. 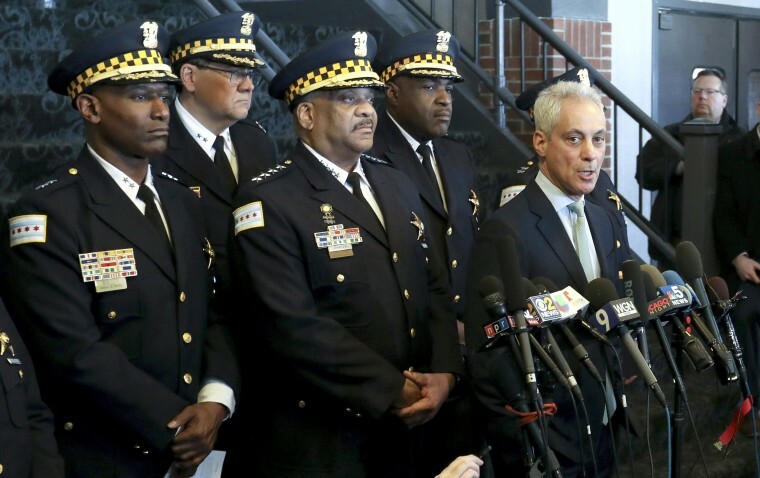 To hear Mayor Rahm Emanuel call the prosecutors’ decision to accept an alternative resolution to the Smollett case a “whitewash of justice” in a city with a police and prosecutorial history as checkered as ours rang not just wrong, but fundamentally ridiculous. Whether one’s personal belief about whether Smollett told the whole truth, a portion of the truth or an outright lie when he reported being assaulted, there is no reality in which the Mayor of Chicago, or the head of the Chicago police force, have the moral authority to stand in judgment of anyone’s morality. Just recently in Chicago, a former police officer was convicted of firing 16 shots into the body of a mentally ill young man, Laquan McDonald, and received a sentence so short that the prosecutor’s office filed an appeal of the sentence. While current mayoral candidates expressed deep concern about the message that lack of justice sent, the outgoing mayor — the one so worried about the perception of justice that might result from prosecutors’ decision in the Smollett case — was curiously silent about the impact of such a short sentence on the community’s ability to trust police. Of course, that might have had something to do with his focus on damage control over the alleged cover-up — the other officers were acquitted — rather than accountability after the shooting of Laquan McDonald. He was much more vocal about the charges being dropped in the Smollett case, where even if a crime was committed no one was seriously harmed, than he ever was about the death of Laquan McDonald. It’s a sad comment on his priorities to see a greater reaction to 16 dropped charges than 16 bullets. While I personally believe Jussie Smollett is telling at least a partial truth, I’m not actually interested in any armchair litigation of his story — not when I can look around Chicago and find not only a long ugly legacy of corruption and brutality, but a litany of current cases that deserve more attention from the mayor and the police superintendent. We can start with the problem of Chicago police having one of the lowest murder clearance rates in the country. Or we can talk about the police officers facing federal charges for corruption. Or the officers who have been caught framing people for crimes that they did not commit. Perhaps Mayor Emanuel could at least pretend to be as upset about the botched police raids that resulted in guns being pointed at children celebrating a birthday as he is about prosecutors dropping charges against Smollett. Or the hundreds of millions of dollars that police misconduct and brutality have cost the taxpayers of Chicago. It’s true that justice is often whitewashed in this city, or sometimes simply outright absent. But the best examples of that problem are not to be found in obsessing over conspiracy theories about whether a celebrity filed a false police report; the real whitewashing of justice has been in the way that Chicago police and politicians have spent weeks talking about this case instead of doing anything to address the actual problems in this city. Mayor Emanuel had a lot to say about accountability, ethics and morality while he demanded that Smollett apologize to the city for the “black eye” he gave Chicago. Perhaps he can take his own advice and express remorse for the justice he’s helped delay and deny, for the schools he closed and the futures he sabotaged. At a bare minimum, he can leave this office without wallowing in his own hypocrisy one last time on national television. Mikki Kendall is a writer from Chicago. She has written for The Washington Post, Boston Globe, Time, Ebony, Essence, and other online and print markets.